I met two ladies from Mary's Meals who told me children have to walk for 2 hours to get to their school every day. I couldn't walk that far every day. The kitchens start cooking early in the morning so that all the children get fed so thanks again for your support! Today's meal was delicious. It was a beef burger, roast potatoes and peas. I didn't want any salad today. The roast potatoes were soft. The ice lolly for dessert comes in orange, yellow, purple and green. I got given purple. It has two sticks because it's easier to hold that way. Mouthfuls- 32 not including licks. 'We are from a school in Australia (in Nowra – on the south coast of New South Wales, 21 seconds!). We found out about your blog from one of our teachers who is from Scotland, like you! How cool is that??!! At school in Australia most kids have to bring their lunch from home. Some schools have a canteen where students can buy their lunch, but our school is too small to have a canteen. So we do cooking every second Wednesday instead. 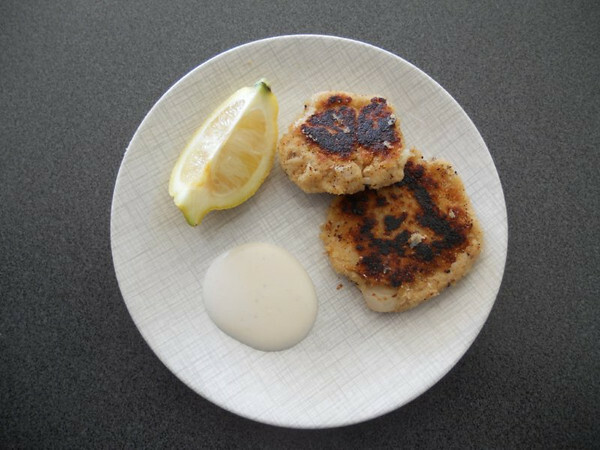 Today was cooking day and we cooked Salmon Fish Cakes with Garlic Mayonnaise and Lemon. It was DELICIOUS! We think your blog is great, and we love how you raise money for kids in Africa. We pay for our cooked lunch ($2 each) and we are using it to raise money for a clean water well in Cambodia (through Samaritan’s Purse). I'd would really enjoy eating your homemade fishcakes. It's great you get to cook. We sometimes do too. It's so cool you have school chickens! We call ice lollies "popsicles" in Canada. same holds true, here in the states. This is one of my favourite blogs, despite not being in school anymore (when I was, I almost always had a homemade packed lunch, except maybe on "pizza days" - every or every second or monthly on Friday - can't remember exactly). Makes me miss school actually (which I loved - school, that is, not missing it!). Keep it up! You're awesome!! Just wanted to say that I think you are brilliant. Hope you get an MBE!!! What a wonderful person you are - I hope you are as proud of yourself as your parents are of you. So many people want to change the world and make a difference but not that many people actually do. I also think it would be very good if you were to get an MBE or similar Martha. This NeverSeconds blog has helped you make so much difference to children's health around the world, discussions about school dinners helps people see the best and the worst and improve what they get to eat at dinner time. And the money you have made on behalf of Marys Meals has helped that charity in their work towards healthy nutritious food for those who would not have any otherwise. I think the little girl with the big heart (you Martha) should get some recognition officially for what you have achieved. Perhaps this message should go viral too (Dad can you explain what that means to Martha if she don't understand?). I am from a place with a lot of water in the UK called Poole, how many seconds? The above suggestion from ellieandoliver gets my vote too. I love your blog, and I used to eat those lollies when I was younger :) you're doing a great job at helping all the children, well done you. Mary's Meals are very lucky to have you helping them! Hi Martha and also a special hi to your great dad. I love your blog and look forward to seeing what you had for dinner and also the added dinner from another country too. To be honest I quite liked the school dinners from my far away childhood, but maybe thats just the rose tinted specs that age has given me. One person can make a difference! Bravo Martha. My favorite flavor popsicle is green. If I was served that I would be horrified! Not one healthy thing on your plate - your dinner ladies should - as the Daily Record headline stated (although at the time it was in jest) - be fired! they are not even trying - even though they must know the world is watching, they either cannot be bothered, or don't have the skills, to cook healthy food - shame on them! Every child deserves better than this - how can you expect to get through a day - and concentrate on your lessons, with this sort of unhealthy rubbish? You do understand that the dinner ladies can only serve what the local authority has told them they can serve? They don't come up with the menus. Saying that the dinner ladies should be fired is like saying all McDonalds workers should be fired because they don't serve healthy food! Remember though that Martha said she didn't eat any salad that was available. Also the peas and potatoes are reasonably healthy. Also to many people in the UK and USA these meals will look miniscule, but that is because many people in the UK and USA are eating way too much. Also to say the dinner ladies should be fired is a cruel comment as they cook whatever they can given their resources. They are probably paid a miserable amount of money. I am a teacher and I always feel guilty when I go in the canteen knowing how underpaid the catering staff are. She had been offered salad, which 99 out of 100 times she eats. I'll bet you sometimes go a meal without salad. Relax. The dinner ladies are not in charge of what the children eat and should not be blamed. It's up to the state to figure out what to feed the kids. Also, peas and roasted potatoes are actually very healthy. I too would be horrified to eat that. However, it is not the lunch ladies fault - they just cook what they are given. It is the schoollbaord and government's fault! I am from Canada and not sure whose responsibility it is in the UK to govern school dinners, but whoever is in charge - THEY should be fired! How about another alternative? Maybe the dinner ladies do the best they can with what the Council provides to them and/or budgets. I'd be surprised if they do most of the buying to stock the kitchen. Not saying the health quality of the food is not someone's fault, but I sincerely doubt it's theirs. That's kind of like firing the kid who works the counter at McDonald's because you don't think the Fish Filet is healthy (and it's not!). Veg chose to have an unhealthy burger and no salad, and that was her choice. There is nothing intrinsically wrong with a burger, nor with the fact that they are offered by the school kitchen. The problem comes when people eat NOTHING but burgers, and NEVER eat salad (or the like). As far as I can remember, this is only the second EVER burger she chose at school in over 2 months. I am no expert, but I suspect 2 burgers in 2 months are OK if the rest of the time the diet is good? They could not have the healthy Fruit unless they ate all the unhealthy main course first! Some children do walk a long way to school and often on an empty stomach, too! Makes you feel lucky doesn't it? Here is some ice-lolly history for you. The very first brand was called Popsicle (and in the states all frozen ice on a stick is called popsicle) by an 11-year-old boy who left a drink with a stick in it outside overnight and it froze. When he grew up he marketed the Popsicle called that because his kids called them pop's 'sickle. The two-stick Popsicle was created during the Great Depression. You could buy one for five cents and share it with a friend. Well done for all your hard work, Your school dinners look alot nicer than when I was at school! Thank you for such a fascinating blog. I look forward to reading it every day! Weekends are so boring without my daily Veg! Great to see your Just Giving total is still going up, as is your page count. Wonderful. But I still think the meals you are getting could be a lot better. When I was little, my mother gave us those particular popsicles, and would break them in two, one for me, one for my brother. I didn't like them very much, but now, as an adult, I remember them fondly and wish I had one right now on this hot day! When I was little, I almost always brought my lunch from home, as my mother was very much into "healthy food". She would pack me very strange things, I thought -- cubes of turkey breast meat to eat with a toothpick, homemade sourdough bread, spicy Indian curries, etc. Now, looking back, I'm glad I had such interesting, healthy things to eat! A decent enough lunch, though a potato seems to stretch rather a long way at your school. I still wonder how anyone finds it acceptable to give school children ice lollies, though. They are sugar, water and a bit of artificial flavouring - completely empty calories, no nutritive value at all. I have been reading this blog since it was first reviewed on gizmodo. You are doing a great job, am in Kericho, Kenya. Some schools cook lunch for the children while others have to run back home. I guess that is why Kenya produce world record breaking long and medium distance runners. I never thought I would enjoy a food blog - my joy is in eating and preparing food - mostly because I have not got someone who reviews food as you do. Another interesting blog - ty :-) Surprised to see two lots of starch (potatoes and bread bun) and to me it looks a bit sparse - was there any onions or anything else in the bun with the burger? Looking forward to tomorrows blog - this is my bedtime read now! Your blog has become one of my regular daily visits. You write beautifully. I can hear your voice saying the words you ave written and it is natural and fresh. I'm so glad that you are still sharing your lunch with me and so proud of your fundraising. Keep it up. Wow, those fishcakes are impressive. We never cooked at primary school - Martha, does your school do cookery lessons? Ur work is gr8 btw!!! Don't no if other comments sed this but u snap th lolli in haf to make 2 lolis! Clever, huh? Just sayin to that Aussie email is that enuff 4 their lunch? ikr its kl how they hav skl chickens!! Btw I forgot 2 say, congrats on ur marys meals work! Don't no how much it is now thnk it's like 70,000? Not sure. Been following ur blog all th way btw!!! Aaand how many kitchens r u gonna build? Hi, Martha. Another good entry, although I have to say your school dinner portions don't look like much. You won't get a lot of running around energy from that Ice-lolly. Your dinners look smaller than ours were when I was a little girl, but on the other hand you get a choice. We had to eat what we were given - even if we hated it. Even now, almost 50 years later, I can't stand fish because of the horrible boiled fish in parsley sauce they used to make use eat. I've been following your blog ever since I heard about your ban and it's great that you've been allowed the carry on doing it and the enormous publicity (BBC News and all the papers! Well done) has helped you raise loads of money for Mary's Meals, towards which I have contributed. Your story reminds me of a poster I bought recently which is a re-print of some that were made during the Second World War which says "FREEDOM IS IN PERIL. DEFEND IT WITH ALL YOUR MIGHT". That's just as true today as it was then and you're helping us all to defend our right to express ourselves. Keep up the good work! Oh, by the way, I'm 43 and cook all my own meals. There not always very healthy but are certainly very yummy! And I don't get any hairs in them either, except when I catch a bit of my beard or moustache in the mouthful!!! Was it exciting to meet the two ladies from Mary's Meals? Did they come into school and talk to your class as well? It is brilliant to see you have raised so much money, over £94,000 now. That is an absolutely wonderful amount, and Mary's Meals will be able to do so much. And your picture is on their website! Do you know if you are meeting the people from the council on Thursday ? Sometimes I have to remind myself that you really are just 9 years old. Good on you for not taking more food than you would eat. I really enjoy reading your blog, but it still surprises me how little vegetables you get. I really hope that you get some more at home with your tea of supper. The ice lolly, as said before, can be broken in 2 pieces, one with its own stick. That way, you can trade one with a friend, and both have 2 different flavours to enjoy. 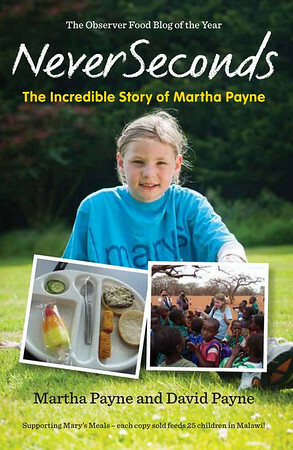 Martha, i love reading your blog and you are doing brilliantly at raising money for Marys Meals. 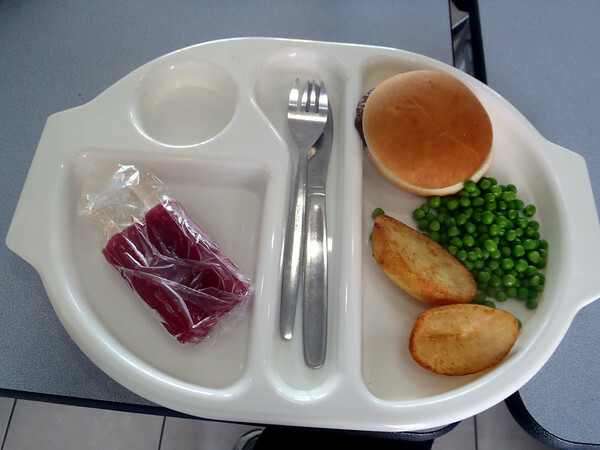 It is very concerning to see a school (and probably most schools)feeding children these kind of portions - there is hardly anything on the plate. If they feel rather than preparing a "healthy meal", keeping the portion size down instead is the way to go then fair enough - but i cannot believe they are charging you £2 for this. The food can't have cost them (in bulk) more than a pound. It's not good to see kids being ripped off, no wonder the council didn't want the public to see pictures of the food. Also serving meals in these compartmentalised trays is wrong. Makes it seem more prison than school. Children need to eat from plates so they learn thats how they will eat in later life. Thank you for putting our email on your blog. We were very excited to see it this morning. In Australia we call Ice Lollies ‘Iceblocks’. Hi Mike, croquette is from the French croquer "to crunch". It's nae Scottish! I wonder if your school lunch menu-makers know there are ice lollies (popsicles over here) made with real fruit. I just had one tonight - a tangerine one, made by a company called Edy's, and it was just the thing to have on this very hot and humid day. If your school can get something like those, you can have a lovely frozen dessert treat and a bite of fruit at the same time! You are a gem - keep up the good work. :~) Perhaps during your summer break, you can post now and again about any interesting food or cooking adventures you have. Considering the massive problem the USA is facing with obesity I am glad to read it looks a bit "skimpy." It means it is "the right size" or there-about. Didn't the ice lolly melt while you were eating the rest? Did you know in US dollars that £94,275.40 is $148002.95? Well over one eighth of a million dollars! Mary's Meals is so blessed to have you as a champion! I'm very proud of you and the people who have supported you. Well Done! every day visit this blog & this my first comment. Brilliant. It seems this stramash was caused by yet more awful reporting on the Scottish 'Daily Record', a truly pathetic newspaper that makes the Sun look respectable. The Daily Record recently slagged off other brilliant children in the news, most English folk won't have noticed the ongoing story or heard about the reaction but I guarantee it is worth your time to follow this story on Youtube. I am from Austria and we have better food in schools but what you get and have to eat is not ok.
Haven't seen a piece of hair in ages! I'll check our school lunch next friday and send a pic!! We also have a school chicken. The presenter interviewed your dad over the phone. Sounds like you've got a good dad there. Keep up the good work! I would post my lunch bit tinned tuna is not as interesting as yours. Well done Martha keep up the good work.I have enjoyed reading your entertaining and well written blogs. I've been catching your blog since just before it went down for a bit, and have really enjoyed reading about your meals, and those from other places throughout the world. Sadly, I don't have a lunch photo to share with you, but I sure do get a kick out of the photos you share. I live in the state of Colorado in the US, but work all over the world in the field of Marine Seismic Oil Exploration. Even been able to visit Aberdeen for work :) I generally work on a ship that is constantly moving, and we get re-supplied with food every two weeks or so. The cooks on the vessel are really great at coming up with decent menus for four meals a day (we get a wonderful thing they call "Midnight Meal" which is served between 1130p and 1230a). I've been on a health kick the last three weeks, managing to trim about 15 pounds off with eating small portions and hitting the gym or running outside on our deck for helicopter landings. Your blog allows me to enjoy subtle fun of enjoying a meal, without having to eat it myself. The burger you had today would be sooo delicious, but I', able to hold back. Those Aussie fish cakes look amazing as well. Keep up the fun writing, I'll be checking in. I keep my fingers crossed for you, dear! P.S. I'll join in the "MBE for Martha" campaign! I am actually surprised to see a burger, as back when I was at primary school, I don't believe we had burgers much. P.S The reason I keep putting my name is because my google account uses a nickname of sorts :). I just checked the donation site; almost 95K collected. Come on, people...you can do it...100K!...100K!...100K! I could not walk two hours either. Well, four hours since they have to do it again at the end of the day. WOW! I'm very impressed by your blog and I'm happy to see that it all worked out and you can continue to write. I was so impressed by your work and touched by your situation that I wrote about you on my blog as well, although I never write about other blogs. I wish you all the best and good luck with your writing and fundraising. You are SUCH an inspiration! Thank you for all your work - you're truly a wonderful person who will go on to do great things. can anyone tell me why parents can't pack their children lunch in a tiffin box instead of having to rely on the school to provide it? hi, i heard about your blog from the bbc news website, it was when you were banned from taking photos of your school meals. But its good that you are now allowed. Wishing you all the best for your blog and projects. It's a great thing to do. I'm from Brazil and I found your blog at Brazilian's Newspaper. It's amazing! Here in Brazil, especially Public School, didn't have this foods, like in your country! It's so sad! Maybe some money could be raised towards a minibus to collect children in the morning and take them home after school? I love your blog Martha, it's a genius idea! Love ur blog,I read it everyday! We've just thrown our little bit toward yr fund for Mary's Meals(https://www.justgiving.com/neverseconds) and I hope EVERYONE who comes to your blog will do the same with whatever they can afford. Just one request: it sounds like maybe you're not crazy about salad. We understand that as it's not everyone's fave. But DO please try to have some at least a couple of times per week ok? This planet & the human race are going to need smart, capable, HEALTHY young people like YOU in order to survive. And for that, you need to eat LOTS of fresh, raw veggies & fruits. Continued success to you Martha - I have a good feeling that we're going to hear more about you in the future. You have proven that one person can make a big, positive difference in the world and the lives of countless other people. It´s how long it takes her to find the place on her Dad´s globe. Great photo and info from Australia, I love the interactive nature of your blog Martha. Well done. I was listening to the radio the other morning on my run, and they were talking about your blog. All the way here in Virginia. I just wanted to come check it out, being a fellow blogger. Very cool idea - and I love that you have been able to keep it up! Hope the hairs are few and far between! We are a very small rural school in New Zealand. We would LOVE to take over your blog for you while you have a holiday. One of our teachers read about your blog (and then clicked on the link and read all the posts you had made) over a week ago on www.stuff.co.nz and was impressed with your honesty, clarity, and willingness to help others. She realised that what you were doing was not to ‘attack’ what your dinner ladies were serving up, and simply a writing assignment which had then become an effort to raise awareness about those who go hungry. As a small rural (country) school, we would appreciate the chance to take over from you for a while. While we know we cannot hope to write as well as you, we feel we can provide another perspective (opinion) for your readers. Our school is made up of year 1-8 students (5-12 year olds) and our class, being the senior class (9-12 year olds) would take a particular interest. Please let us help you. Not only would we do our best for you, but we would raise New Zealand’s awareness of child poverty, and in turn raise our awareness of the world around us. I know .. U will Change The World people opinion About many things. But please Insistence on your way So U should to keep your strength up. I don't see how 2 fish cakes worth 7 bites is nearly enough for students. I know that I would need about 5 or 6 of them to be full, and I'm 11. I'm one of the teachers at the school (who cooked the fish cakes. You have raised a very good point! Because we are cooking seafood this term, and it's quite expensive and some of the kids aren't big fans of fish etc, we just do enough for everyone to taste. The kids all bring a packed lunch as well, so don't worry - they don't go hungry!